Honors Day addresses were presented by Sinan Onal, PhD, associate professor in the Department of Industrial Engineering, and Alex Dinan, a senior pursuing a bachelor’s in mechanical engineering. The alumni speaker was Collin Greene, who earned a bachelor’s in construction management in 2015. Green is an estimator and project manager with Bommarito Construction. Onal shared his inspiring story of perseverance and determination. He described to attendees his path from taking English as a Second Language courses in 2007 to attaining a doctorate, and now multiple grants and awards for his work as a teacher-scholar. Dinan connected with his fellow students by describing what makes being an engineer special. The Kirkwood, Mo. native extended a message of hope. 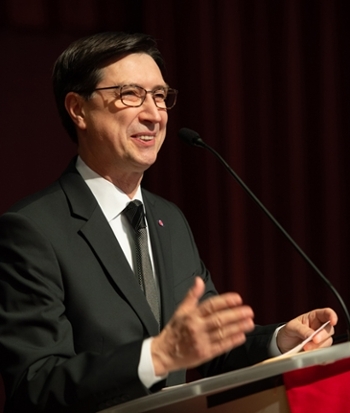 Photos: SOE Dean Dr. Cem Karacal expressed his excitement for the School’s growth and appreciation for donor support at the Honors Day program. 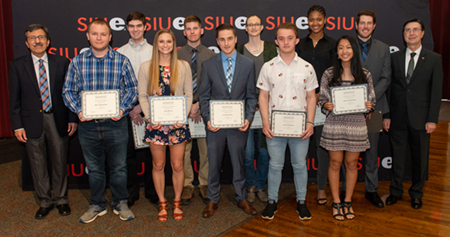 Students from each of the School of Engineering’s degree programs were recognized for achieving the fall 2018 Dean’s List. Standing here are Department of Mechanical Engineering Chair Dr. Majid Molki (far left), SOE Dean Dr. Cem Karacal (far right) and mechanical engineering student honorees. 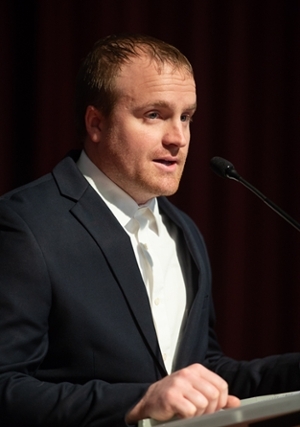 Collin Greene, who earned a bachelor’s in construction management in 2015, was the featured alumni speaker. 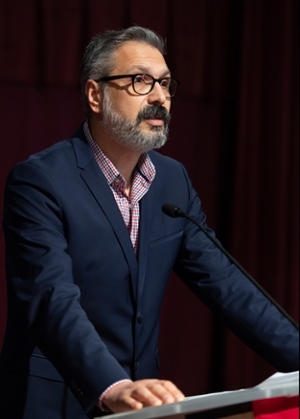 Associate professor Dr. Sinan Onal was the featured faculty speaker at the SOE Honors Day program. 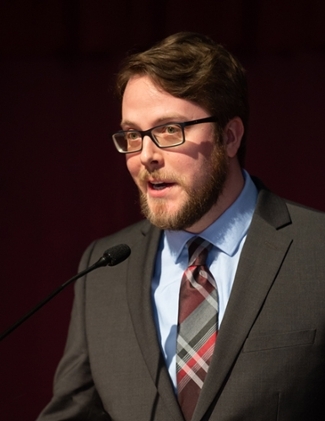 Senior Alex Dinan, of Kirkwood, Mo., extended a message of hope during his Honors Day speech.